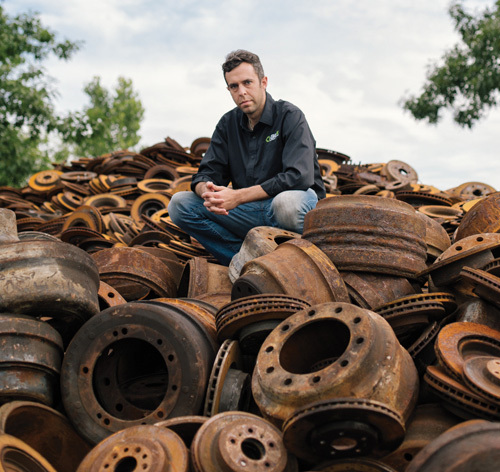 How a recycling business in Roseville offset a steep drop in global commodity prices. >> team alloy GLR Advanced Recycling partners Michael Bassirpour, Ilene Bischer, and Sandy Rosen at the company’s 15-acre facility in Livonia. When prices for copper, aluminum, iron ore, and other commodities began to fall in 2013 due to a slowdown in demand from China and developing countries, Michael Bassirpour saw an opportunity to inject technology into a historically stoic industry. 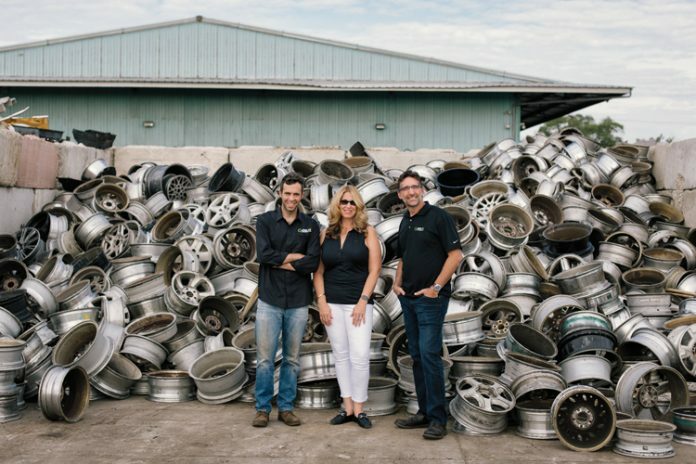 A partner and president of GLR Advanced Recycling in Roseville, Bassirpour says with falling prices for commodities contributing to the closing of hundreds of scrap metal shops in recent years, he and his three partners — Sandy Rosen, Ilene Bischer, and Ben Rosen — had to adapt or risk the same fate. >> above the rim Michael Bassirpour of GLR Advanced Recycling in Roseville developed The ScrapPost.com to move scrap metal via a digital portal. GLR’s online store has one drawback. Because some metal offerings are so heavy, transportation costs between states and countries can be prohibitive. Overall, though, Bassirpour says TheScrapPost.com has helped industry players move their metals faster, especially when prices are volatile. This year, the site is on pace to record $5 million in revenue, up from nearly $1 million in 2015. Overall, the shakeout of smaller players caused by falling commodity prices has helped streamline the marketplace. Apart from streamlining the acquisition and sale of commodities with its digital portal, Bassirpour says GLR, which has 150 employees, is building a more efficient operation in the region by establishing what he calls “feeder yards” that supply inventory to the company’s main recycling facility in Livonia.